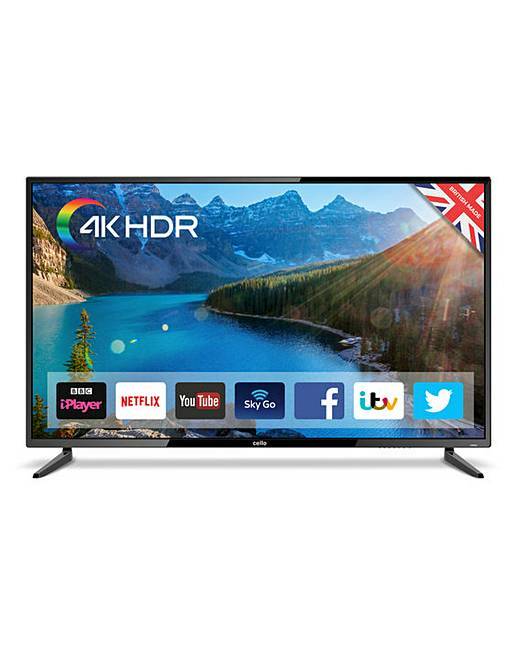 This striking 55” TV from Cello combines our superfast Android 7.0 with intuitive user interface Smart features with an ULTRA HIGH DEFINITION (4K) screen to result in an impressive looking and extremely well featured TV including Cello Play. Freeview HD and web browsing capabilities means you will never be without something to enjoy on your screen. Alternatively connect your media devices and games consoles to one of the four HDMI's and USB ports to enjoy your own personal favourites in Full 1080p HD or Ultra HD 4K if you have 4k media. W.1245 x D.244 x H.762mm.